Chip giant Intel (NASDAQ:INTC) has long developed customized processor SKUs (that's an acronym for "stock keeping unit") for its major data-center customers. In fact, the company makes it a point to tell investors on a fairly regular basis that a large and growing percentage of its data-center chips are parts that are tuned specifically to customer needs. Back in October of 2018, Intel CFO and interim CEO Bob Swan even said that Intel will "have 60% more custom SKUs in the Cascade Lake family [of data center processors] than the prior generation." However, this hasn't really been the case in the company's PC processor business. The company offers an extremely wide range of product families and SKUs within those product families for the PC market. Nevertheless, processors developed for and offered exclusively to specific customers aren't the norm (although you can bet that Intel customer requirements drive the specifications of the chips that Intel does offer more broadly to the market). However, after AnandTech broke the news that Intel was planning a limited-availability part, known as the Core i9-9990XE, the chip giant not only confirmed the part's existence, but also confirmed AnandTech's reporting that it would be offered only in "limited quantities" and "through an auction to ensure fairness in supply distribution." Let's take a closer look at what's going on here and why I think this is a smart move on Intel's part. According to a statement from Intel (via AnandTech), this product -- the Core i9-9990XE -- "is designed specifically for the financial services industry because of specific customer requirements." The chip giant went on to explain, "Because the Intel Core i9-9990XE was built with unique specifications and high frequency to meet the workload needs of this targeted industry, it can only be produced in limited quantities and will not be broadly made available." This makes sense. AnandTech claims that the Core i9-9990XE has 14 working processor cores, and those cores can all run at a speed of 5GHz simultaneously. To put that into perspective, Intel's latest mass-market 14-core product -- Core i9-9940X -- only runs at a speed of 4.4GHz when up to two of its 14 cores are active. When all of those cores are active, that frequency is significantly lower, meaning the performance of the off-the-shelf part is far lower than that of this specialized product. Put simply, the Core i9-9990XE is at least a cut -- if not several cuts -- above what the chip giant offers more broadly. AnandTech's Ian Cutress explained in a tweet that the high-frequency trading industry values "fast chips," and that he "know[s] people who are paid to tweak [high-frequency trading] systems to get every last MHz out of them for 24/7 use." In the world of high-frequency trading, time really is money, so it makes sense that such customers would be willing to go to extreme lengths to get as much performance out of these chips as possible. Intel clearly recognized the opportunity to sell some extremely high-priced chips to those customers. With the Core i9-9990XE, it is capitalizing on that opportunity. Remember that Intel said in its statement that these chips "can only be produced in limited quantities." Since that's the case, it doesn't make sense for Intel to try to set pricing upfront for them. By selling them to the highest bidder, the chip giant should be able to maximize what it ultimately charges for the chips and, as a corollary, the profitability of said chips. We don't know how many of these chips Intel can produce in a quarter, or how much the company will ultimately sell them for. However, I'd imagine that given the relative scarcity of these chips and the value they should provide for their end customers, these will be quite profitable for the chip giant. 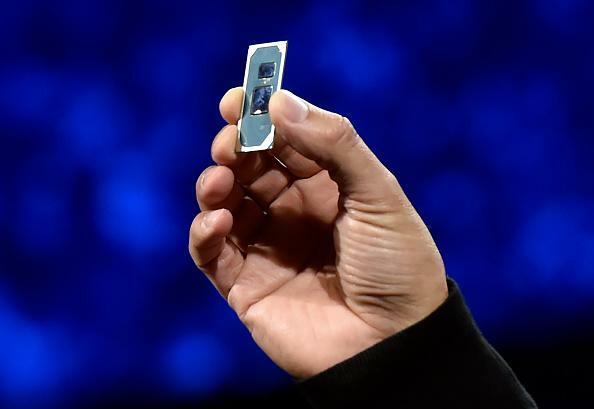 This is a smart move by Intel, and investors should applaud it.